Mauritius (French: Maurice), officially the Republic of Mauritius (French: République de Maurice), is an island nation in the Indian Ocean, situated approximately 2,000 kilometres (1,200 mi) off of the southeast coast of the African Continent. When Mark Twain visited Mauritian capital, Port Louis, in 1896, a proud resident informed him that “Heaven copied Mauritius.” This statement is certainly backed up by the land’s verdant mountainsides, coated with yellow sand. It’s can be compared to a jewel in a turquoise ocean. Mauritius’ is a traditionally multicultural and welcoming society, and together with its friendly people and legendary smiles, they’ve helped in developing a tourism sector with one of the highest rates of tourist loyalty in the world. 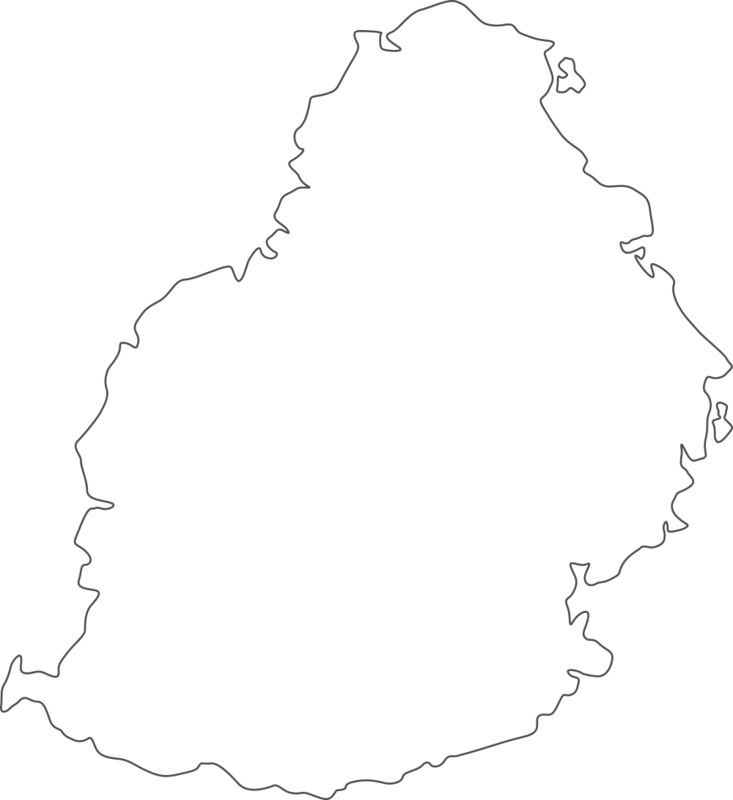 The country includes the island of Mauritius, Rodrigues (560 kilometres (350 mi) east), and the outer islands (Agaléga, St. Brandon and two disputed territories). The islands of Mauritius and Rodrigues (172 km (107 mi) southwest) each form a part of the Mascarene Islands, along with nearby Réunion, a French overseas department. The area of the country is 2,040 km2. The largest city (and capital) is Port Louis. The Arabs visited the island of Mauritius during the medieval period, followed swiftly by the Portuguese, who thusly named it “Dina Arobi” and “Cirne” respectively. The island was uninhabited until a point when the Dutch Republic established a colony in 1638, naming the island after Prince Maurice van Nassau. The Dutch colony was abandoned in 1710. Five years later, the island evolved into a French colony and was named Isle de France. Owing to its strategic position, Mauritius became known as the "Star and Key" of the Indian Ocean. Mauritius continues to grow and flourish as a world-class, offshore financial and investment hub for both private and commercial segments of the international market. The market in island villas for sale is also on the development path, thanks to a near-perfect climate, friendly locals and high levels of personal security and safety. Mauritius boasts a rich cultural heritage, with many different religions living in peace and harmony. Hindus, Catholics, Muslims and Buddhists each have their own respective places of worship, with exciting and vibrant religious festivals forming a part of the standard Mauritian calendar. Many aspects of the Creole culture, language, traditional music and “Sega” dance play an important part in the island’s rich and diverse heritage. These many influences are also reflected in Mauritian cuisine, from street stalls to gastronomic restaurants and beyond. Economically, Mauritius is one of the few countries that actually exhibit strong GDP growth in a consistent fashion, which has continued even through recent economic downturn. Island villas for sale continue to attract attention - none stronger than those in Mauritius. Mauritius is traditionally a welcoming country, seeing more than 200,000 foreigners of diverse nationalities choosing to work, live and retire here, thanks to the low cost of living - about 40% lower than Europes. Mauritius is rated 3rd in the top 10 list of ideal overseas retirement destinations, and is widely regarded as one of the safest and stable countries on the planet. Attractive and flexible taxation system with a flat 15% tax rate, no tax on foreign dividends, no stamp duties, no inheritance tax – and that’s just the start. The success of any expatriation project depends on the quality of daily life for the whole family. Mauritius has a lot to offer potential expatriates: a tropical climate, solid economic growth, political stability and a friendly and welcoming population. The European standards found in the existing transport, healthcare, education and service infrastructure make Mauritius a reassuring destination for all visitors and residents alike. English is the official language of Mauritius. French and Mauritian Creole are also widely spoken, and almost all Mauritians are bi-lingual. Healthcare and medication are provided free of charge within public hospitals and dispensaries. There are also several private fee-paying clinics fully equipped to meet with all requirements of expatriates. Foreign nationals seeking a Mauritian residence permit are required to undergo a series of compulsory medical tests. There are no major health risks in Mauritius, and no specific vaccination requirements for European nationals. The education system in Mauritius mainly revolves around the British system, and is categorized into 4 main sectors – pre-primary, primary, secondary and tertiary - covering all main disciplines. The teaching of both French and English is compulsory in all schools in Mauritius. There is an attractive selection of private schools offering internationally recognised syllabuses, as well as a variety of international universities. Air: Sir Seewoosagur Ramgoolam (SSR) International airport is situated on the South-East side of the Island, and features the recent opening of a brand new terminal. There are 30 direct flights each week to all major European capitals, as well as destinations across Africa, China and the Middle East. Boat: Regular sailings operate regularly, traveling to the islands of Rodrigues, Reunion and Madagascar – all from Port Louis. Road: The national network of access roads, main roads and motorways is in a superior condition throughout the island. Traffic drives on the left-hand side of the road. Mauritius Telecom operates the telephone network in Mauritius, and both domestic and international communications are in a good state. There are two main mobile telephone network providers; Emtel and Cellplus, a division of Orange, offering pre as well as post-pay services, and internet access too. Mauritius now also boasts 100MB of Fibre Optic Broadband services widely available. The majority of shopping takes place in general stores, and at small stalls during weekly markets. Hypermarket chains include as Jumbo, Super U, Monoprix, Shoprite, Winners and Intermart. Shopping centres and cinema complexes are in continuous development. Most major brands are represented, and US$1 is equal to approximately 36 Mauritian Rupees (MUR). Despite its distinct summer and winter seasons, Mauritius is a year-round summer holiday destination for tourists. Both air and water temperatures remain mild throughout every season, providing the ideal conditions for outdoor activities and adventures. Mauritius boasts a warm tropical climate, tempered by its south-easterly trade winds. The seasons are inverted in comparison to the northern hemisphere. In spite of a gentle climate year round, there are two distinct and easily identifiable seasons by the quantity of rainfall - as is the case in most tropical areas. The austral summer (December to April) brings high season to Mauritius, with hot and humid weather conditions. The climate is drier and cooler from May to November, during the austral winter. The Sun rises at around 6.30am, setting relatively early - before 6pm. The north and west coasts of Mauritius are more sheltered from the prevailing winds, giving them drier and warmer qualities. Golf has experienced much development over the past 20 years, with Mauritius having become a dream destination for golf lovers from around the world. The golfing tradition has a long standing history on the island. The first golf course in Mauritius dates back to British Colonial rule in 1844. Mauritius offers ideal playing conditions along with spectacular views over the Indian Ocean. Today, there are a total of 14 golf courses, nine 18-hole courses and five 9-hole courses. 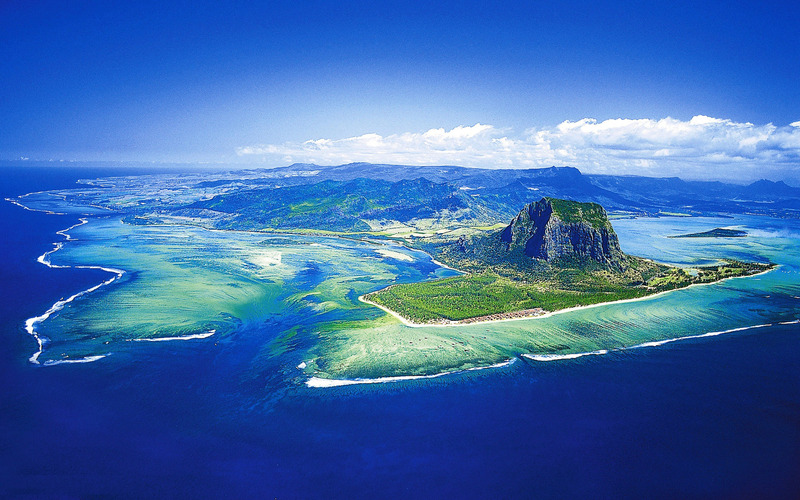 These extend over the south, east and west coasts of the island of Mauritius. 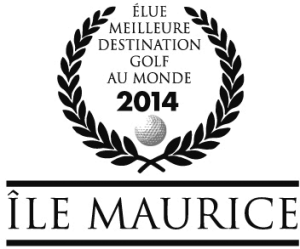 In March of 2014, for the 2nd consecutive year, Mauritius was voted to be the World’s Best Golf Destination at the International Tourism Show in Berlin. The award was given in recognition of both the quality and variety of golf-courses on the island, along with the range and level of services available to golfers. In recent years the island has consolidated its position as the leading business and financial services hub in the Indian Ocean, having received numerous prestigious global accolades in leading surveys globally. Although Mauritius is not a tax haven, it boasts a very tax-friendly system, offering an abundance of advantages to foreign nationals wishing to invest in property and ready to live for at least 6 months a year in Mauritius to obtain tax residency. The good news is that this has changed dramatically over the past two decades. No longer just a sugar exporter and tourist hideaway, Mauritius now boasts a booming information technology sector, acting as an important gateway to Africa for investors from around the world too. The Stock Exchange of Mauritius has returned 54.9% over the past five years, and there are a number of fascinating opportunities among its 38 listed stocks.